Come hang out with Premium Pets and 94.3 KAT Country and enter to win tickets to see the Cardinals take on the Atlanta Braves on Friday, June 29th! 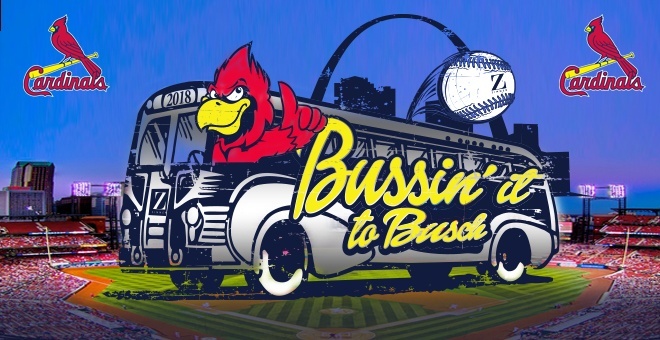 You'll also get two round trip tickets on the Party Bus with Cardinals fans and official Bussin' It to Busch tees! During the live remote we'll announce the winners! You don't have to be present to win. To enter the drawing, come see us at the shop or come during the event to register. We'll have hot dogs on the grill and other special in-store promotions going on that you won't want to miss! Take advantage of our discounted SLIK Hound sports themed collars one day only (including the Cardinals and Royals collars)! This is going to be a family friendly and dog friendly event, so come on out and see us!